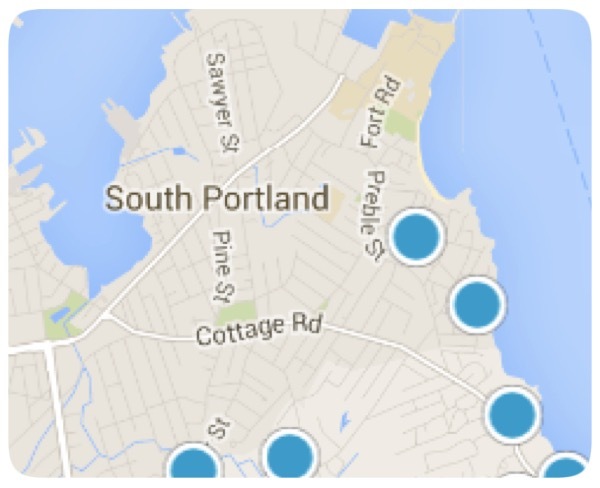 South Portland Maine's Willard Beach Neighborhood is one of the most active real estate neighborhoods in the State of Maine. Geographically, Willard Beach is located South of Downtown Portland's Old Port and at the last turn (by boat) from the harbor entrance into Portland. A turn-of-the century neighborhood, Willard Beach still retains many original homes. Popular Bungalows and Shingle style homes line the streets. Willard Beach is a small sandy beach, popular for recreation and morning dog walks. Local bakeries, galleries and a few restaurants are well known by the locals. The Willard Beach real estate market is known for quick movement and a premium placed on the valuable location. The majority of properties are single family homes, which range in value's from 250/300K to 1,000K for waterfront and water view homes. There are some multi-family homes and condo's. Most condo's are converted multi-family buildings as there has been very little in-fill development to allow for newer structures.